A starting note: all links in this article will open in a new window so you keep this article open while learning about astrology. Do you like to read your horoscope? Do you check every newspaper and web site to learn what the stars have in store for you? Then you are just like me a few years ago before I started my horoscope and astrology web sites. When I was still a teenager, I knew my zodiac sign (sun sign) and read my weekly horoscope in many tabloids, newspapers and magazines. When I got onto the Internet in 1995, I started reading my horoscopes online and got very interested in this topic. At that time, there were not many web sites about horoscopes and astrology. So I started to compile a list of the most popular horoscope sites which evolved into becoming my EasyScopes® web site. It's a directory of the best free horoscope sites. 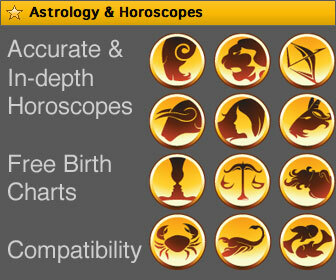 All sites are grouped by your zodiac sign , so you have immediate access to YOUR horoscope. After a few years of reading general horoscopes and astrology books, I knew a lot more about astrology and created web sites which provided more astrology features. 0800-horoscope.com is one of those sites where you get a lot of advanced astrology information for free. 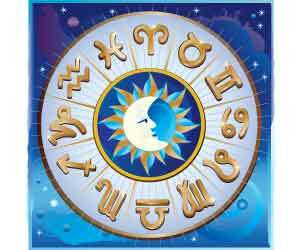 This article gives you a brief overview about astrology and horoscopes in layman terms. I'm going to give you some suggestions where you can find out more information about this interesting topic. People who are born on the cusp (i.e. the date when one zodiac sign changes to the next zodiac sign) should check their astrology birth chart to find out their exact zodiac sign. More about follows later on. Sooner or later you start noticing that the zodiac horoscope can't be very accurate because everybody is different. Life would be boring if everybody with the same zodiac sign would be equal. The sun sign just tells you something about your general personality and spirit. When you combine your sun sign horoscope with your moon sign (the inner you and emotions) and your ascendant (your outer image) you'll get a lot more information. To know your moon sign and rising sign (ascendant), you need to get your birth chart done. Many web sites on the Internet provide this service for free. A birth chart, also called natal chart, shows the positions of the stars at your time of birth in the place you were born in. For best accuracy, you need to enter the date of birth (DOB), time of birth (TOB) and place of birth (POB). Step 2: Use the Free Birth chart system to find your moon sign and rising sign (ascendant). The birth chart provides a lot of information. Once you know your sun sign, moon sign and ascendant, you can also read the in-depth descriptions of all 3 signs. On 0800-horoscope.com I posted long descriptions of all sun signs, moon signs and rising signs. This information might take some time to read and digest. However it's really worth checking out if you'd like to learn more about astrology. Step 3: Read the different Zodiac Profiles. Reading the forecasts for your sun, moon and rising signs make the horoscopes in your favorite magazines a lot more interesting and accurate. The free astrology features on 0800-horoscope.com already provide a lot of information. However I must admit that some of this information is rather "technical", i.e. it could be difficult to understand if you are just a beginner in the study of astrology. For many years, I've worked with Wayne Browning of AstrologySource. Wayne runs several horoscope sites and created one of the best chart services on the Internet. Unlike some other chart systems, his birth charts are created by real astrologers after they receive your birth data (DOB, POB, TOB). The best report is his Merlin Natal Report which is easy to understand and gives an in-depth view into your astrological profile and your possibilities. Step 5: Get a Merlin Natal Report. During the many years that I've been involved with astrology web sites, I discovered that most people tend to read their own horoscope and also the horoscope of their (potential) partner. When you want to improve your love life, you should repeat step 1 to 5 for your partner. It may not always be easy to get the exact birth information from a potential lover. However it shouldn't be all too difficult to get the date of birth or zodiac sign of your partner. With that information you can already find out a lot about your relationship. Step 6: The Compatibility Report compares your birthday to your lover's birthday. After reading your compatibility report, you'll get an overall idea about your relationship and may discover how well your relationship will evolve in the future. The weekly partner horoscope is a good tool to immediately see what's going to happen during the current week and what issues might be important for your partner. The partner horoscope should be on your weekly list of things to read. Step 7: Check the weekly Partner Horoscope which compares your weekly horoscope to your heartthrob's horoscope. Once you've started to take an astrological look at your relationship, you may want to get even more advice. I've compiled a list of several articles and eBooks which gives you a lot of ideas about how to improve your love life. Those articles tell you secret seduction techniques, provide you with questions how to increase communication between you and your dream partner, suggest very romantic dates (even for low budgets). Step 8: Read the Romantic Articles to improve your relationship. If you've followed all the different steps so far, you'll know a lot more about your own personality and your love life. However you haven't discovered much about the dark or invisible side of your partner. Wayne at AstrologySource has several reports which cover those topics. You may want to read his personalized compatibility reports to complement all the information you've gathered so far. Step 9: Advanced Love Analysis tells you a lot more about your relationship. I hope this astrology checklist helped you to discover your own personality and to improve your romantic life. AstrologySource also provides several other reports such as career/vocational reports, future love trends, numerology analysis, tarot readings and a lot more. When you've got a lot of time on your hands, you should also check out those astrological readings. A lot of books have been written about astrology. Personally, I can recommend Susan Miller's "Planet's and Possibilities" as well as Jonathan Cainer's "Guide to the Zodiac". PS: You can send me your comments about this article through the feedback page. Not to be confused with our "natal transit forecast reports" which are much more lengthy. These are more summarized reports, are done for the entire year, and deal with the forecasting on specific themes, read on!